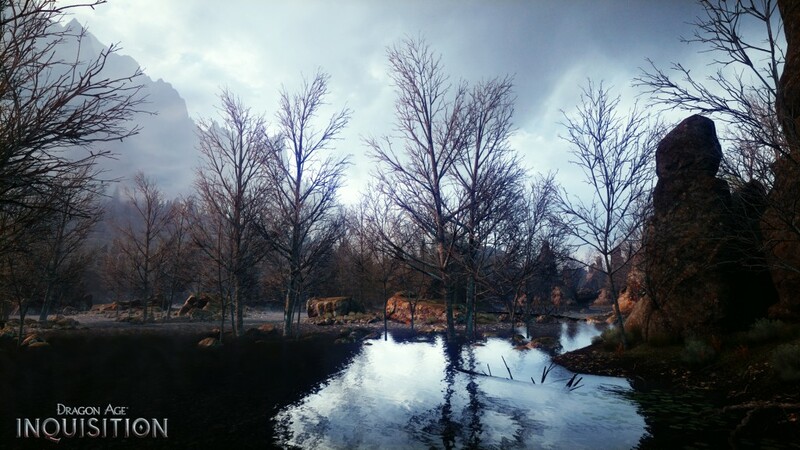 Within the Dales, the Exalted Plains is a massive stretch of land ravaged by civil war and ripe for exploration in Dragon Age: Inquisition. Each distinct area of the Exalted Plains has its own complex ecosystem, creating the Plains’ physical space in the game was no easy task. The Inquisition arrives at the Exalted Plains during a ceasefire between two armies at war. The bodies of fallen soldiers mysteriously rose from the dead and have driven the armies back to their respective castles in retreat. 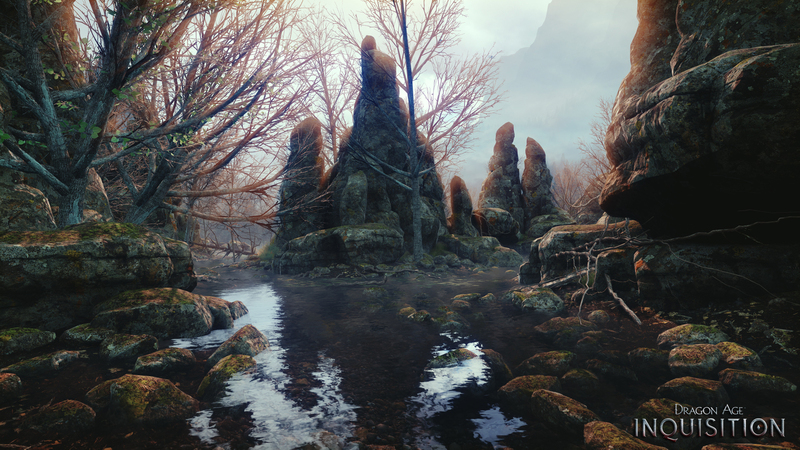 As this is the Dales, one might wonder: what’s become of the Dalish elves? The Crow Fens is one section of the Exalted Plains. In contrast to the sprawling hills elsewhere in the area, the Fens is claustrophobic, creating tension as you wonder what lies in wait for you around the next corner. According to Farrell, the Fens was the perfect playground for his imagination to run wild. Using the power of the Frostbite 3 game engine and next-generation technology, utilizing water in levels is one of the achievements the team is most proud of. Once an area is built, its ecosystem brings it to life. While exploring the Exalted Plains, you’re likely to see the halla, birds, and wolves that have made it home. Make your way into the Crow Fens, and you’ll find yourself amidst drakes, dragonlings, and dragonkin. Don’t let the looming threat of danger deter you from adventuring, however. As expansive as the Exalted Plains is, Farrell and McGrath agree that you shouldn’t worry too much about missing anything, because you can return to it at any time. Dragon Age: Inquisition releases this fall on PC, PlayStation 3, PlayStation 4, Xbox 360, and Xbox One.